The Euro is the official currency of 16 of the 27 Member States of the EU, which amounts to 329 million people. It is the second most traded currency in the world and the second largest reserve currency. Only the US Dollar trumps it in today's global marketplace in both aforementioned categories.. The Euro is currently quite strong against the Dollar, with a recent all time high of 1.59 to 1 USD. The speculated cause for this is investors withdrawing money from US markets due to the Untied States enforcing strict tax laws against Chinese products, especially textiles and steel products. Additionally, Europe is seen globally as less threatened by terrorism compared to the U.S. due to the physical and national spread of the EU. The Euro would therefore be less threatened as a whole from terrorism than the Dollar. Although the USD has recovered somewhat since the all time high was reported, the Euro has retained its advantage in the global market. 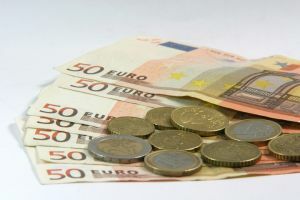 Despite the economic recession which has negatively impacted the economies of several nations over the past months, the Euro continues to hold its head a bit farther above water than many of the other currencies on the market today. Being one of the most traded currency at the world market, Euro has kept its value unchanged.